In the case of environmental organizations, prospects–even your most devoted–are going to take your vanity with a grain of salt. But… what do you do if you deserve it? What if you really are the best of the best? Or maybe you’ve just done a good job and want to spread the word. How do you convince people you’ve done something great? Get other people to say it for you. The most powerful objection most people have over your environmental claim is that they simply don’t believe you. 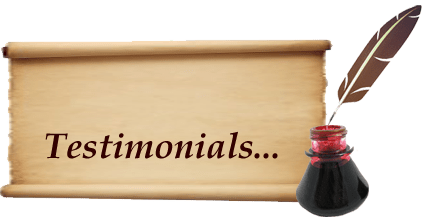 In traditional marketing, testimonials are usually given by happy customers who answer every objection a buyer may have about a product. They are written by real customers and that genuine enthusiasm has a sharp way of breaking through a tough, incredulous barrier. And they work. Testimonials are one of the best ways to provide proof . For the average environmental organization, how do you provide a good testimonial? Without an actual product, providing good testimonials is a bit different. Simply having an environmental super-fan say, “This nature club is groovy!” probably isn’t going to cut it. Instead, use your testimonials to answer this one question: Why aren’t people getting behind you? And, it’s follow up: What are the most common objections people have to donating to your cause? Delve into the comments left by your haters. Organize them into categories of complaints. Make note of the biggies. Examine exactly what the haters are objecting to. Keep a box of tissues handy for the personal ones. Then, go to the happy pile. Find testimonials that directly answer those complaints by the haters. Find 1st-time donors and long-time donors. Find people who give monthly and people who have left you in their wills. But whoever you choose to quote, make sure each testimonial answers a very specific major objection. For environmental organizations, combine your best testimonials with pictures of your crew out in the field, doing whatever it is the testimonial giver says you’re doing. To the average prospect, a testimonial and an endorsement are the same thing. To a fundraiser, copywriter, or direct marketer, they are separate, but intertwined, powerful tools. When you type into Google “endorsements” pretty much the only thing that pops up are pictures of celebrities. Brad Pitt with Channel #5, Donald Trump with premium steaks, Beyonce with Pepsi, David Beckham shirtless with…well, I actually missed what he was endorsing. But, there are other ways to gain endorsements. If you have a local cause or mission, there are mayors, city council, school principles, local business owners… in effect, it doesn’t really matter who you can get to endorse you. Why? Because endorsements are about power. If you can present to your prospects and supporters that someone in a power position thinks you’re great, then their endorsement of your cause will speak volumes. Use people willing to speak up in whatever way you can. Testimonials are words of support from average people. Endorsements are words of support from powerful people. And believe it or not, they work together. Donor A might not be that impressed if a celebrity says you’re great. But a regular guy who works long hours and still chooses to send you his money just might be the ticket. For Donor B, a powerful person speaking positively about you could sway him off the fence. But… for the love of all that is green and eco-friendly, whatever you do, just don’t say it yourself! Getting someone else to say it for you is much more powerful. Next Next post: Save the World? Can I Just Like You on Facebook?